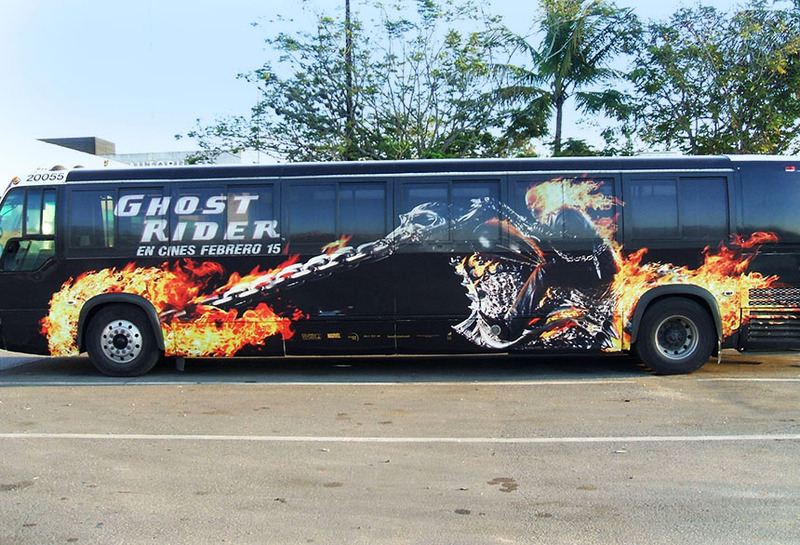 Ghost Rider ran striking campaign using Lamar Transit. This Full Side display used the shape of the bus to draw eyes to their creative. Transit advertising delivers high reach and frequency, while providing consistent and effective repetition.